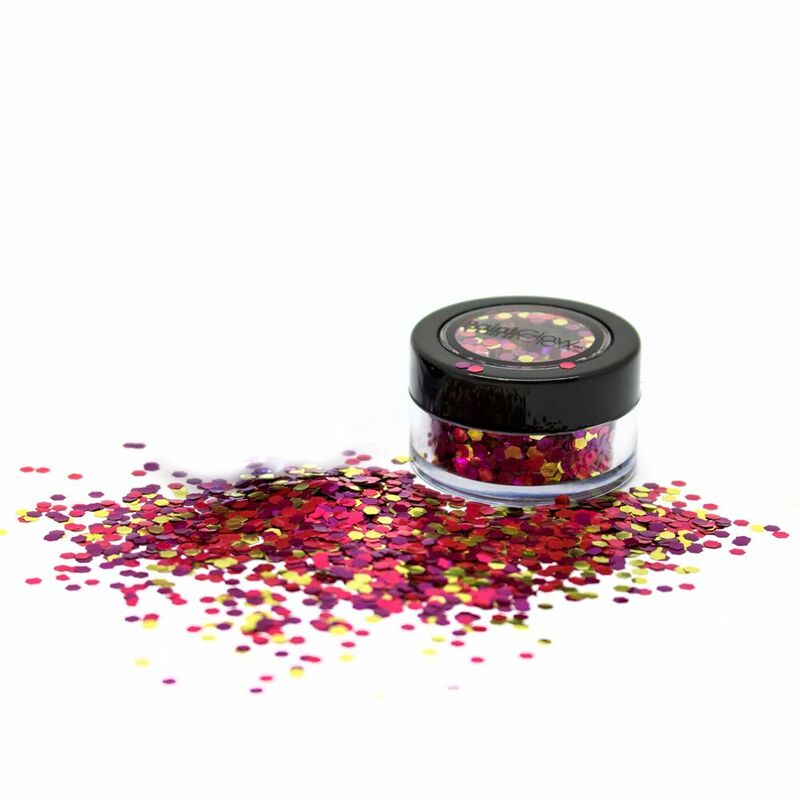 PaintGlow™ BioBlends Biodegradable Glitters are chunky blend of colours that not only look fantastic but are also ocean friendly, meaning you can sparkle and shimmer whilst still doing your bit for the environment. ALLERGEN FREE - Compost Home certified. Suitable for vegans is cruelty free and is allergen free. Made from eucalyptus trees, environmentally sourced from responsibly managed plantations. Renewable raw materials, all environmentally sourced to FSC standards. Bio-degradable glitter is antimony free with GMO ingredients. Softer feel to the skin compared to Polyester glitter. Cosmetically certified and meets ENI3432 and ASTM D6400 standards. Certified as home industrially compostable, ok compost home certified. Marine and waste biodegradable ASTM D708I-05.